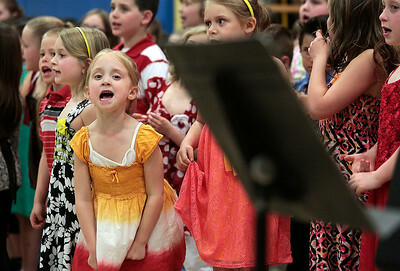 Kyle Grillot - kgrillot@shawmedia.com Students including first grader Kylee McGehee (left) sing "It's summer, it's summer, it's summer" during the Harrison School's annual "Spring Sing" music program Thursday in Wonder Lake. 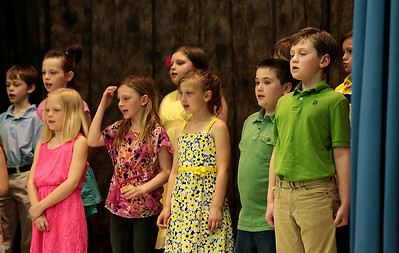 The program includes music presentations from pre-K through 5th-grade students. 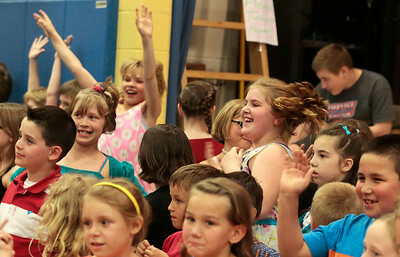 Kyle Grillot - kgrillot@shawmedia.com Music Director Kerry Rea talks with community members after the Harrison School's annual "Spring Sing" music program Thursday in Wonder Lake. The program includes music presentations from pre-K through 5th-grade students. 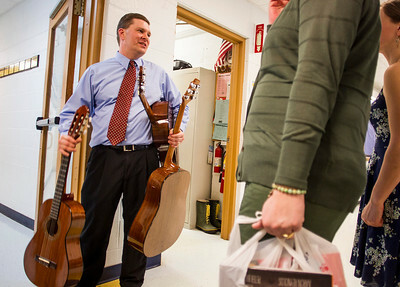 Kyle Grillot - kgrillot@shawmedia.com Guitars sit on the gym floor during the Harrison School's annual "Spring Sing" music program Thursday in Wonder Lake. The program includes music presentations from pre-K through 5th-grade students. 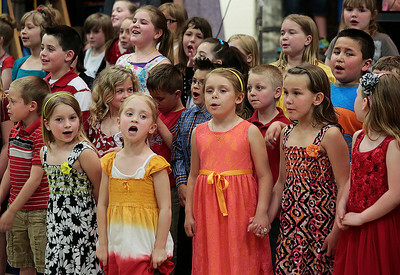 Kyle Grillot - kgrillot@shawmedia.com Students sing "It's summer, it's summer, it's summer" during the Harrison School's annual "Spring Sing" music program Thursday in Wonder Lake. The program includes music presentations from pre-K through 5th-grade students. 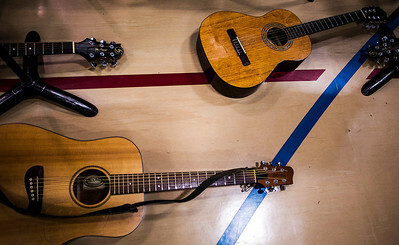 Guitars sit on the gym floor during the Harrison School's annual "Spring Sing" music program Thursday in Wonder Lake. The program includes music presentations from pre-K through 5th-grade students.